BEHIND the counter of Ipswich's oldest business, Jeffrey and Val Vogler offer a window into the historic change of Ipswich's retail environment. Each day Jeffrey slips on a dress shirt and pulls his socks up; in a literal way. Val is the face of the store, greeting people with a warm but sharp familiarity. For 141 years CJ Vogler and Sons Hobby Shop has operated in Ipswich. Between them, the pair is navigating perhaps the store's most challenging time since opening in 1877. "It's very tough. It's three weeks from Christmas and look outside - there's no one," Jeffrey said. The hobby store remains standing at Top of Town on Brisbane St as other stores fall around them. "It's just not the end of town for retail," Jeffrey adds. 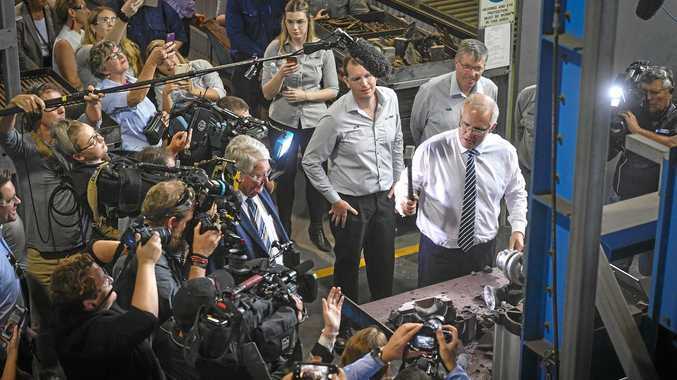 "We've got no customer flow, no foot traffic." While CJ Voglers is the oldest business in the city, 141 years of history counts for little when it comes to luring modern consumers. Few people are walking the city-centre pavement, despite Christmas being weeks away. "The internet is a thing that's taken over and it's had an effect on how people go shopping," Jeffrey said. "Some people want to visually see and hold things but others do everything online. "The change to the world-wide-web has pushed Voglers onto the internet." They are lucky to own the building and can avoid paying high rent each month. "If we didn't have the building, we'd be in trouble; we wouldn't be here," Jeffrey said. 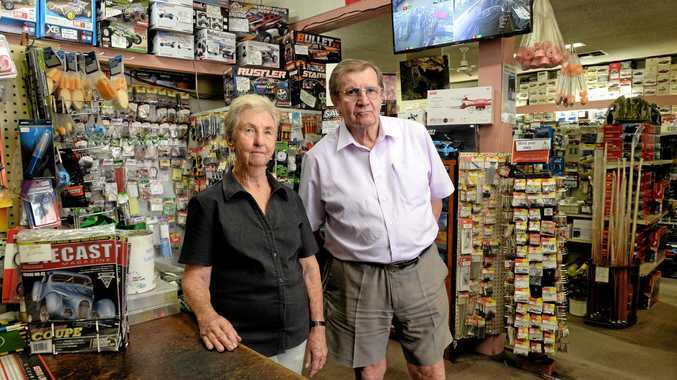 The owners of the specialist hobby store will keep fighting to keep their business open. "It's not like it used to be," Jeffrey said. "It's one day to the next. "Someday you might sell $10 and the next, $1000. Val added: "Monday we might as well have not opened". The family hopes Ipswich City Council will support their business, but how is a point of contention between the pair. "We'd like to see some Christmas decorations," Jeffrey said. "That won't do much," Val chimes in.